I started in the Rhydderich Hael at Buffalo State College at the Milton Festival on campus. We were still part of the East Kingdom at the time. 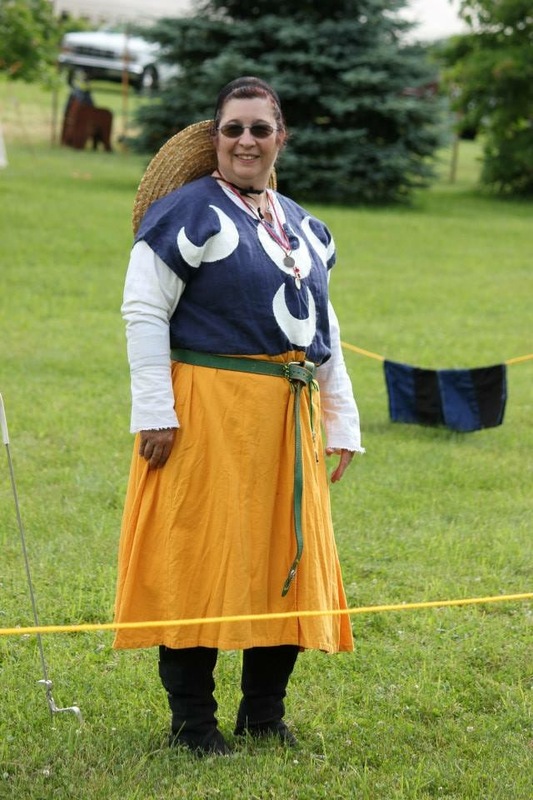 My first event was Summer’s End in the Canton of Beau Fleuve. My persona is Gaelic, a chieftain’s daughter. I have not developed a specific persona story. I tend to wear clothing from the early periods, 13- 14th century. Maybe someday I will put some time into developing more details. I picked Gaelic/Celtic because I have ancestry in Ireland. (Counties Cork and Clare). I chose the name Maeve because I really liked the stories of Maeve of Connacht, the Celtic queen. I have been a member of the tribe of Tuatha Fieren and am a member of Ravenstar Lance. I am an Equerry to Mistress Shoshido Tora Gozen. I was a Special Education teacher and teacher assistant until I became semi-retired in 2007 due to an injury. I spent 4.5 yrs in the Army National Guard as a Combat Medic as an E-4 (survived basic training at the ripe old age of 29!). I have 2 children, a daughter and son, 21 and 13 yrs old. I live with my husband, son, 2 guinea pigs, and a dog in Akron, NY. I also own a horse, Guinness, and we have spent the past year getting to know each other. 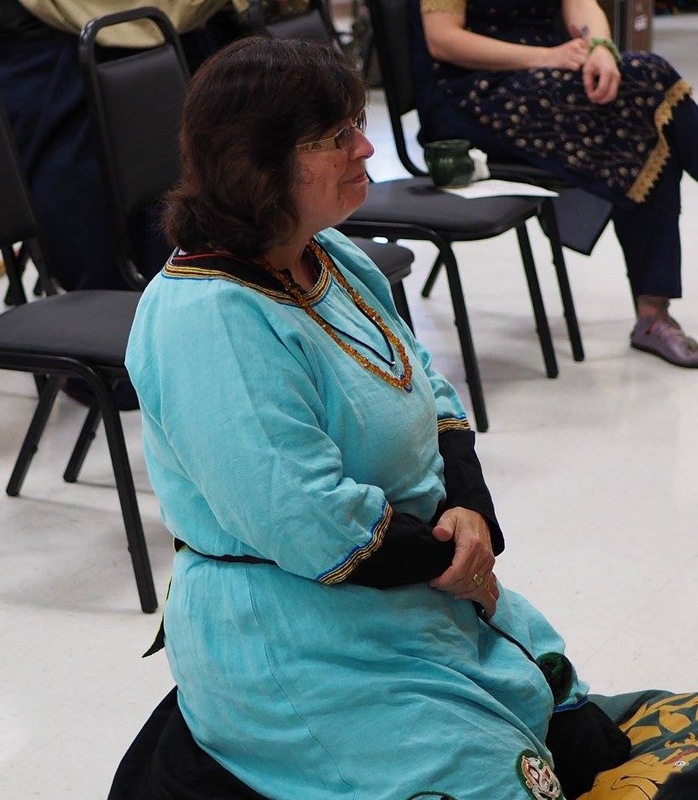 Over the past 30+ yrs I have participated in/tried the following activities: Heavy fighting (spear), fencing, choir, scribal (both calligraphy and illumination) archery, thrown weapons, music(recorder/drum), autocratting Ice Dragon and the first investiture of Æthelmearc, embroidery and sewing (fiber arts). Whew! And, oh, yeah, Equestrian! Tell us a little bit about your SCA experience (jobs, offices, duties, etc. 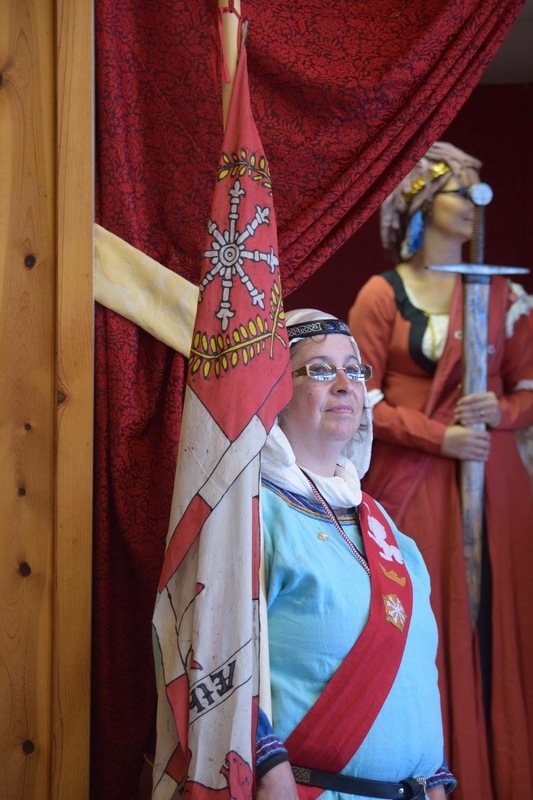 When you started in the SCA, what goals did you have? I didn’t really have goals, per se, but I wanted to try as many things as I could. Which I did. It was fun to meet many different people in the different groups and to go to events outside of my own group. Now? I guess one goal I have is to do what I can to be useful, continue to help new people find their “thing” (I love seeing people I’ve helped succeed), as well as try to find the fun I used to have way back when. My advice would be to try everything to see what you feel comfortable and have fun doing. Don’t be shy, ask lots of questions, there really are not too many wrong ones… Don’t worry about garb in the beginning, take at least a year or two, or three before deciding on joining a household. Help where you can, even if its just moving a chair/table or two. When I was new, I asked about everything (politely) and I asked everyone, whether it was about clothing, activities, etc. (and with true curiosity, people were more than willing to tell me about it or point me to someone who could!). That’s funny. I don’t really know… I guess to be really good at something that I have tried/participated in? Above all else? Not really. There are maybe only two at the moment. I would love to be considered for the Order of the Golden Lance and to be a consort for a Crown Tourney once. It would be an honor to be considered for the Order of the Pelican. Being part of this organization has given me an “extended family” of sorts. Getting to know people from all over the kingdom has been a wonderful thing and I have been getting to know many more. 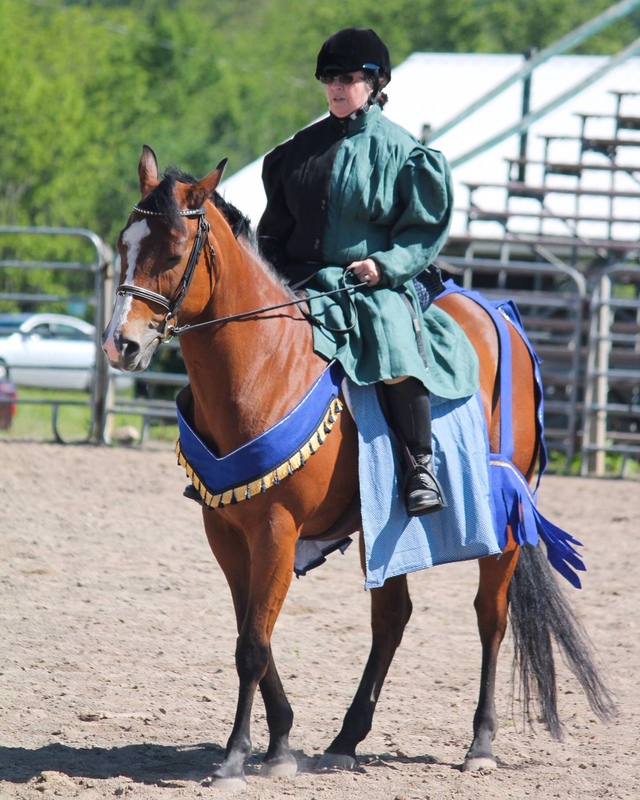 I was able to attend the Society’s 50 yr celebration and met/talked to four of the founding members and met many people in the equestrian community across the nation (and their horses!). Starting out when I did and now are very different because of the development of the internet. Information is easily available and it is easy to purchase anything you want/need. I enjoyed the challenges of adapting/creating things from what was around without spending a “fortune”. It is fantastic that many artisans have developed talents and businesses based on this hobby. I hope that I can continue to participate for many years (decades) to come in whatever capacity I can. If you see me at events, say hello! I love meeting and talking with people (new and not so new). Who knows, you may end up teaching me something new! !